Due to their outstanding play, sportsmanship and young ages, this team was nominated in the team category of the prestigious Blacktown City Council Sports awards for 2018. They were up against some very impressive teams from Softball, Acrobatic Gymnastics and Rugby League. The four members of the Blacktown Tennis 10 & under girls’ tennis team represented Blacktown in NSW Hardcourt Interdistrict team event. Undefeated during the season, the team went on to win the Harry Beck Cup at the Grand Final in September 2018. Congratulations again, you are a credit to our sport, and very deserving of this accolade. Teams consist of 2 or 3 players depending on ability. 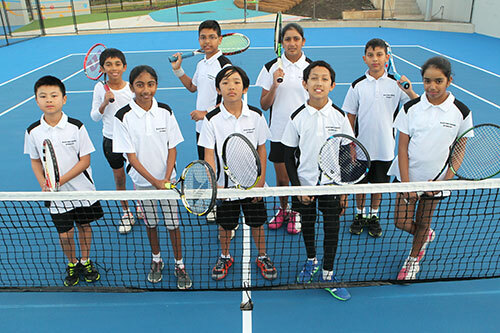 Matches will be played on a home and away basis between Rooty Hill Tennis Centre and Stanhope Gardens. Notice is hereby given that the Annual General Meeting of Blacktown Tennis Inc. will be held at Rooty Hill Tennis Centre 13 Learmonth Street Rooty Hill on Tuesday 20 March 2018 at 8PM. All members and interested persons are urged to attend and support the Association. The AGM of Blacktown Tennis Inc. will be conducted at 13-15 Learmonth Street Rooty Hill on Tuesday 21 March 2017 from 8pm. In conjunction with the finals there will be a social afternoon of tennis for everyone (including those eager Mum’s and Dad’s) to participate and try out the new courts. The AGM of Blacktown Tennis Inc. will be conducted at 13-15 Learmonth Street Rooty Hill on Tuesday 15 March 2016 from 8pm. 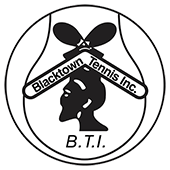 The AGM of Blacktown Tennis Inc. will be conducted at 13-15 Learmonth Street Rooty Hill on Tuesday 18 March 2014 from 8pm. In a coup for the local tennis community, Rooty Hill Tennis Centre, was given a helping hand last week when 60 volunteers from Optus RockCorps descended upon the centre to revamp the gardens of the centre. 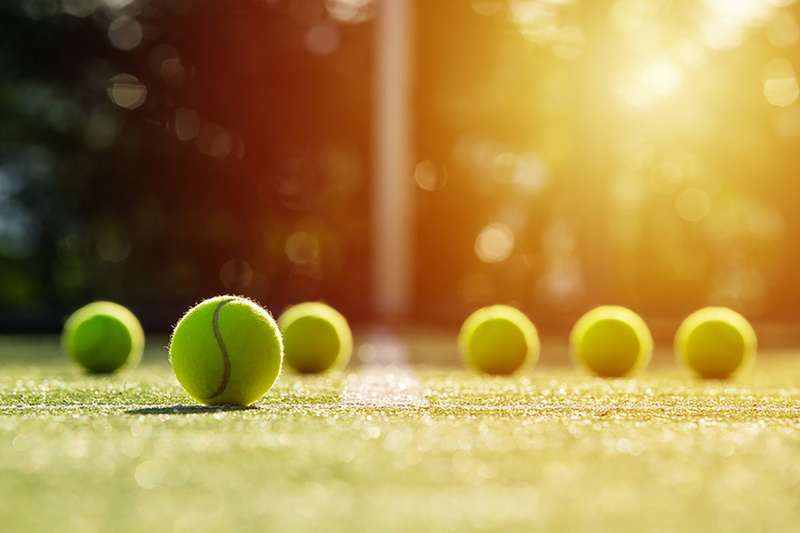 The team from Optus RockCorps contacted Tennis NSW Community Tennis Manager, Matt Starr, hoping to find a project that would provide their volunteers with work that would align with their idea, "Give and Get Given". Volunteers give four hours of their time volunteering on local projects and in return they receive one ticket to a concert, exclusive to those volunteers who have provided their time and effort. "This initiative is such a great idea for the tennis community as most clubs and centres are operated by volunteers. Often the priorities are making sure money goes back into fixing the courts or buying new tennis balls and equipment. Money is tight and usually the surrounds can be neglected" he said. While it was difficult to decide on just one project in Sydney that deserved the attention of the initiative, the project and the tennis centre aligned perfectly with Tennis NSWs' vision of providing welcoming facilities to the public. Yvonne Tucker from Blacktown Tennis Inc jumped at the chance when the offer was made and within ten days from initial point of contact from Tennis NSW and Optus RockCorps the project was underway. "Staff from both teams was extremely helpful in identifying what types of projects we could achieve on the day. I was overwhelmed with the support, from weeds being pulled out to obtaining native plants from the Blacktown Council Plant Give-Away program" she said. The team of 60 volunteers worked hard to revamp the gardens of the tennis centre, painting new signs, fixing seating around the tennis courts all in four hours. The volunteers are now looking forward to their concert in April headlined by some of the world's best artists; The Script, Guy Sebastian and Tinie Tempah. "This is a great initiative, the motto of 'Give and be Given' has certainly been a massive help to our tennis facility and to our whole community. The community will be able to enjoy the benefits of this generosity for many years to come" Tucker explained. Don't worry if you don't have a partner, we will arrange one on the day. 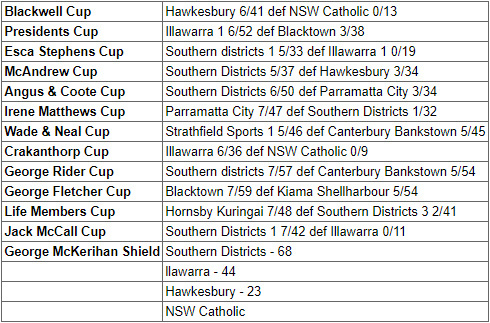 Blacktown had a great season. 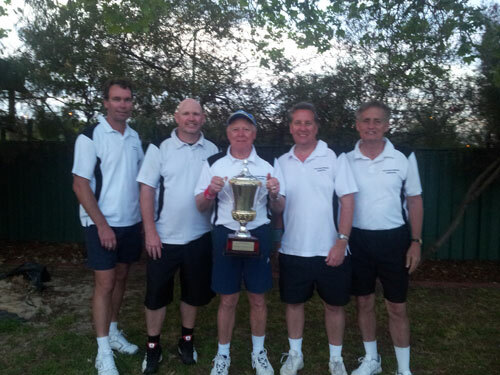 The senior men winning a Cup. This was Blacktown's first Cup win since the 16s Girls and Senior Men in 2005. A long time between drinks. The 16s Boys played a great match; on the day the opposition were just that little bit too strong. 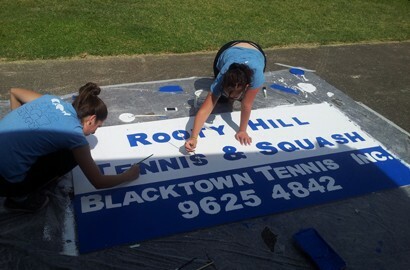 Blacktown Tennis Inc. is holding this open junior tennis championship Saturday 9, Sunday 10 and Monday 11 June 2012. Please visit the Tournaments page for further details. Interdistrict trials for Blacktown will be at Rooty Hill on Sunday April 1 from 12 noon. All welcome to come along. We would like to field as many teams as possible in junior ages 12 & under, 14/U, 16/U boys and girls. Senior men & ladies over 35 also invited to try out for Senior cups. Juniors play singles and doubles. Seniors is all doubles. Free afternoon of tennis open fun day. All welcome juniors or adults. From 12 noon to 6 pm at 13-15 Learmonth St Rooty Hill. All equipment provided, including mini nets and racquets for the kids to try. Speed gun for the big servers to see how fast they can serve. Sausage sizzle BBQ @ $2.50 per sandwich and refreshments for sale. See Tournaments page for all of the entry information.